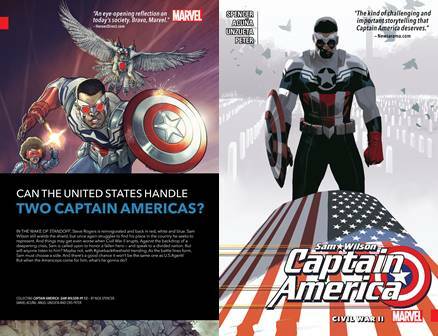 Collects Captain America: Sam Wilson (2015) #18-21, Avengers (1963) 326. When Steve Rogers could no longer wield the shield, Sam Wilson stepped up as an all-new, all-different and very much all-his-own Captain America. The public was divided. And when a reinvigorated Steve returned to share the mantle, the protests grew louder. Sam just kept fighting on, the only way he knew. But is the world big enough for two Caps? And as Sam is pulled into the shocking events of Marvel's next big event, will he - and the world - have to choose? 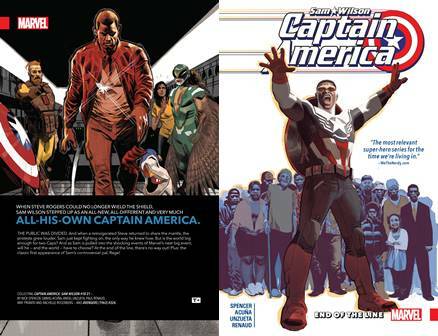 Collects Captain America: Sam Wilson (2015-2017) #14-17, Captain America (1968) #344. The world has received an ULTIMATUM: Peace in our time... or face the fury of The Flag-Smasher! Guest-starring Steve Rogers: Captain America! Collects Captain America: Sam Wilson (2015-2017) #9-13. In the wake of STANDOFF, Steve Rogers is reinvigorated and back in red, white and blue. 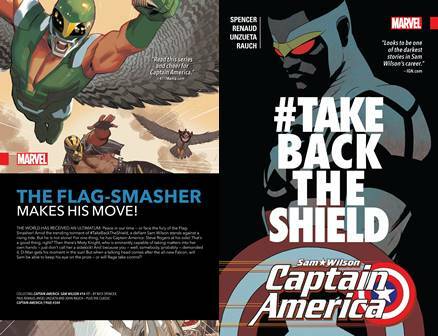 Sam Wilson still wields the shield, but once again struggles to find his place in the country he seeks to represent. Can the United States handle two Captain Americas? Things may get even worse when CIVIL WAR II erupts. Against the backdrop of a deepening crisis, Sam is called upon to honor a fallen hero - and speak to a divided nation. But will anyone listen to him? Maybe not, with #givebacktheshield trending. As the battle lines form, Sam must choose a side. And there's a good chance it won't be the same one as U.S.Agent! But when the Americops come for him, what's he gonna do? Collects Archie (2015-) issues 18 - 22. Collects Archie (2015-) issues 13 - 17. 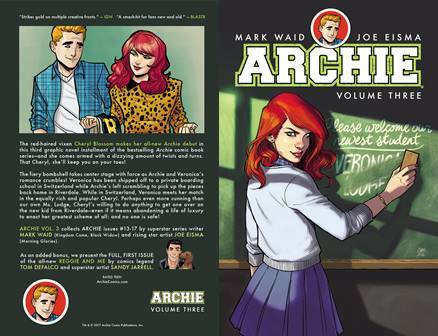 The all-new ARCHIE adventure continues! 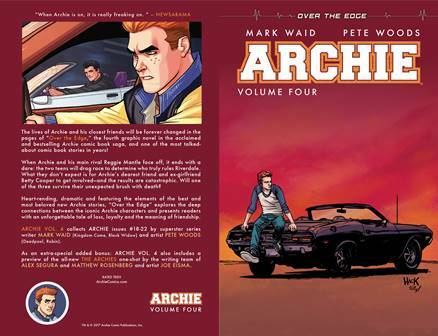 Superstar writer Mark Waid teams up with rising star artist Veronica Fish to bring a modern take to the legendary Riverdale cast of characters. 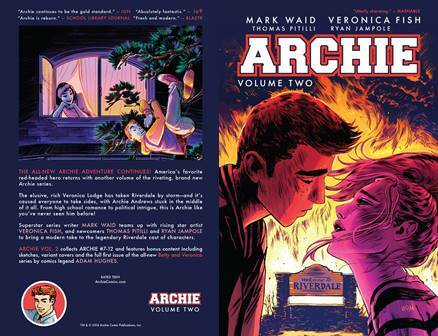 The elusive, rich Veronica Lodge has taken Riverdale by storm -- and it's caused everyone to take sides, with Archie Andrews stuck in the middle of it all. Relive all the drama, all the romance and all the beautiful art and storytelling once more in this graphic novel that collects ARCHIE (2015-) #7-12. Welcome to the New Riverdale. The human race is a vast herd - one that John Constantine separated himself from a long time ago. The lonely path he's taken since then hasn't been an easy one, but in the end it's probably been for the best. Given his notoriety as England's greatest street-level sorcerer, every tie that binds him to his fellow man is just another potential weapon for his infernal enemies to use against him. Self-sufficiency, however, can all too easily shade into complacency - a lesson that John forgets when a desperate stranger corners him in a bar and pleads for his help. The simple spell he performs for his petitioner quickly ensnares the famed magician in a much larger web of ancient, elemental magic - and transfers his new acquaintance's crippling burden of universal empathy squarely onto his shoulders. 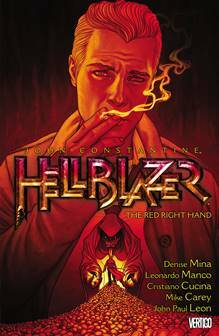 Now Constantine must wage war against not only the powerful magus responsible for this hellish curse, but also the unfiltered emotions of an entire city. Typical for John's luck, that city is Glasgow, Scotland - a world center for alcoholism, depression and barely concealed rage. 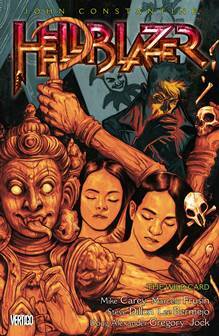 Celebrated crime novelist Denise Mina teams with acclaimed artists Leonardo Manco and Cristiano Cucina to feel each other's pain in Hellblazer Vol. 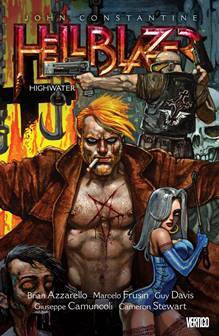 19: The Red Right Hand, collecting Mina's complete run on the series from issues #216-228 as well as the never-before-reprinted story "With a Little Help from My Friends" from issue #229 by Hellblazer emeritus author Mike Carey and guest artist John Paul Leon. 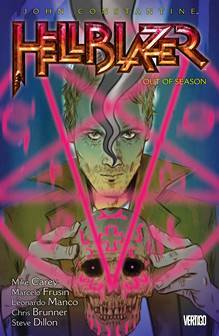 Acclaimed author Mike Carey concludes his groundbreaking run on London's working-class magus with JOHN CONSTANTINE, HELLBLAZER VOL. 18: THE GIFT. To restore his mind and save his life, John Constantine was forced to give a day of his life to a she-demon named Rosacarnis. It was a bad bargain, and one that he knew he'd regret - but he had no idea how quickly everything would go straight to hell in its aftermath. Over the course of that single day, England's savviest street sorcerer lived several lifetimes - and sired three infernal offspring, whose incandescent hatred of him was carefully nurtured by their mother. Now he's about to make the biggest mistake of his magical life - and every soul on Earth will pay the price. Of course, no sooner does he set foot upon his native land than he stumbles into a small-time necromancy-and-murder ring centered on his own sister's apartment building. More worrying than this sordid little power trip is the disappearance of his niece, Gemma, who's turning out to be a bit too much like her uncle for anybody's good. 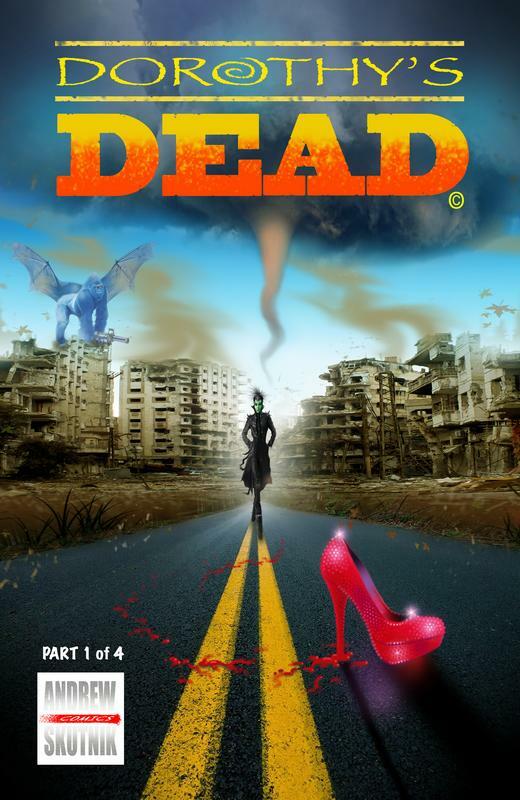 In her eagerness to learn the family trade, Gemma has gone to London and fallen in with a bad crowd, and pulling her out means that Constantine will have to join the search for a distinctly nasty magical artifact-one that shouldn't fall into anyone's hands, least of all those of the man determined to find it. 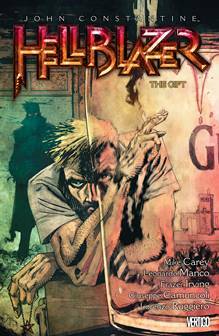 Critically acclaimed author Mike Carey kicks off his acclaimed run on England's legendary magus with JOHN CONSTANTINE, HELLBLAZER VOL. 16: THE WILD CARD, collecting issues #175-188 of the signature Vertigo series and featuring the fan-favorite artistic talents of Marcelo Frusin, Steve Dillon, Lee Bermejo, Doug Alexander Gregory and Jock. It's been a long, hard road that John Constantine has followed across the badlands of America. After walking out of a burning maximum-security prison, into the hollows of Appalachia and through the snows of the Great Plains, England's greatest magician is approaching the final leg of his intracontinental trek-and closing in on the real reason for the suicide of Richard "Lucky" Fermin, the trigger that set everything in motion to frame Constantine for murder. To reach the end of this long and dangerous trail, however, he will have to pass through the bellies of two very different beasts: first, a nest of white supremacists in rural Montana, where Fermin's widow has settled; and then, finally, Los Angeles-capital of an entire empire of decadence and home to the singularly American corruption that has hounded Constantine halfway around the globe. In 1967, a blazingly talented young artist helped bring the strange adventures of Deadman to life - and redefined what comics could do. Now Neal Adams has reunited with this haunting hero to solve the mystery of his murder once and for all! Boston Brand was just a circus performer when an assassin cut him down in his high-flying prime. 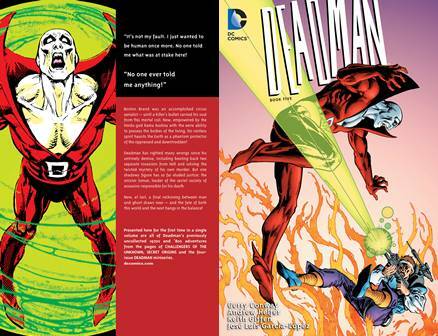 Given an eerie afterlife as the spectral superhero called Deadman, he has the power to possess the living in order to fight for justice... and find his own killer. Now, with the help of allies from this world and beyond, including the Batman, Deadman will follow the trail to its infernal source: the League of Assassins and its immortal mastermind, Ra's al Ghul. Dive into an all-new investigation into the DC Universe's dark side. 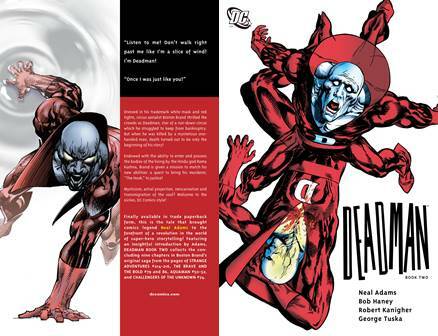 Written and illustrated by Neal Adams (Batman), Deadman collects the entire six-issue mini-series! Boston Brand is a dead man walking. More than walking, actually - his uncanny abilities enable him to float, fly and seize control of the bodies of the living. He's no mere ghost. He's something more powerful, more heroic. He is Deadman! And he's about to meet Berenice - a living woman with powers of her own. Berenice's complicated life and loves have driven her to the haunted halls of the sprawling mansion known as Glencourt Manor. It's a place where the forces of darkness are known to gather - a house where a person with Berenice's power to talk to the dead could accomplish great good... or unleash incredible evil. Separated by the boundary between life and death, yet able to walk between both worlds, Deadman and Berenice must work together to unravel the mystery of the Manor and defeat the dark forces that threaten to erupt. Mystery, murder, resurrection and romance await. The only question is, are their hearts and souls strong enough to survive? Unlock the answer in DEADMAN: DARK MANSION OF FORBIDDEN LOVE, from acclaimed creators Sarah Vaughn (ALEX + ADA), Lan Medina (FABLES) and José Villarrubia (SWEET TOOTH). 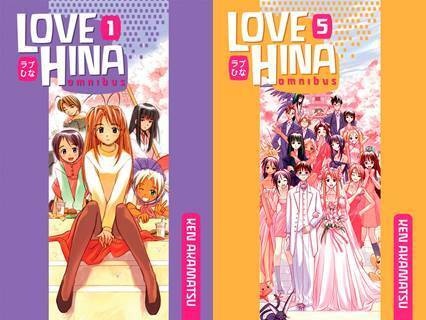 This Gothic tale of passion and betrayal is an all-new twist on the character of Boston Brand. 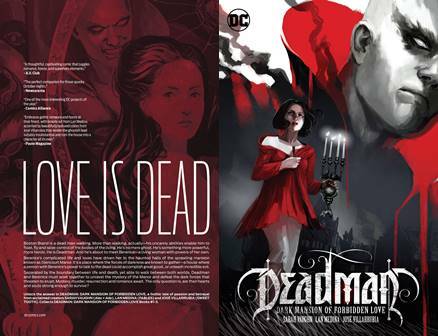 Collects DEADMAN: DARK MANSION OF FORBIDDEN LOVE Books #1-3. 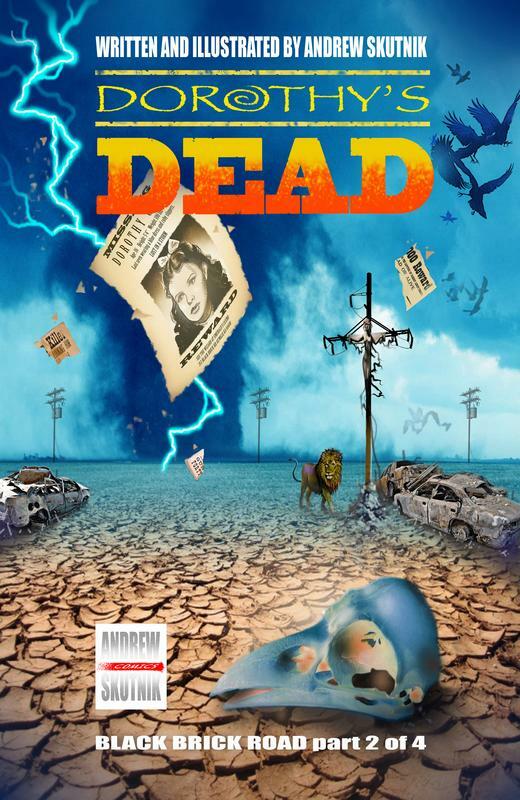 Deadman, the groundbreaking undead super hero driven to find his own murderer, returns in this fourth collection of his 1970s adventures. 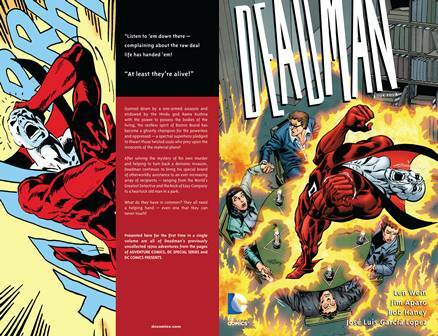 Featuring appearances by Swamp Thing, the Challengers of the Unknown and more, this title finds Deadman continuing his quest to bring his killer to justice while battling occult menaces throughout the DC Universe. Collects stories from DEADMAN (1986) #1-4, SECRET ORIGINS #15, CHALLENGERS OF THE UNKNOWN #85-87. 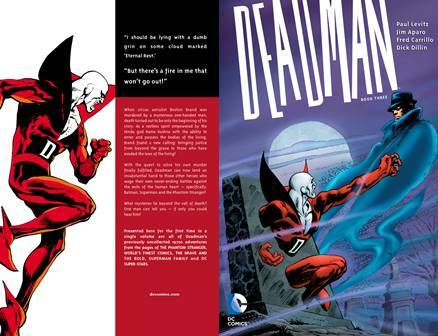 Deadman, the groundbreaking undead super hero driven to find his own murderer, returns in this fourth collection of his 1970s adventures. Featuring appearances by Superman, Batman, Sgt. 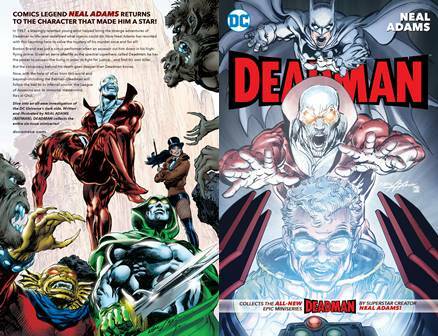 Rock and more, this title finds Deadman continuing his quest to bring his killer to justice while battling occult menaces throughout the DC Universe. Collects stories from DC SPECIAL SERIES #8, ADVENTURE COMICS #459-466 and DC COMICS PRESENTS #24. Deadman's quest for justice continues in these 1970s adventures collected for the first time! 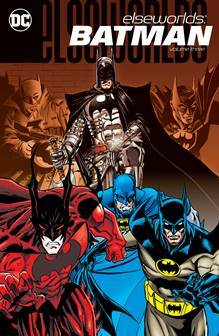 In these stories, Deadman meets Batman, Superman and other heroes. Collects PHANTOM STRANGER #33, 39-41, THE BRAVE AND THE BOLD #133, SUPERMAN FAMILY #183, WORLD'S FINEST #223, 227 and DC SUPER-STARS #18. Collects BRAVE AND THE BOLD #79, 86, STRANGE ADVENTURES #214-216, backup stories from AQUAMAN #50-52 and CHALLENGERS OF THE UNKNOWN #74.